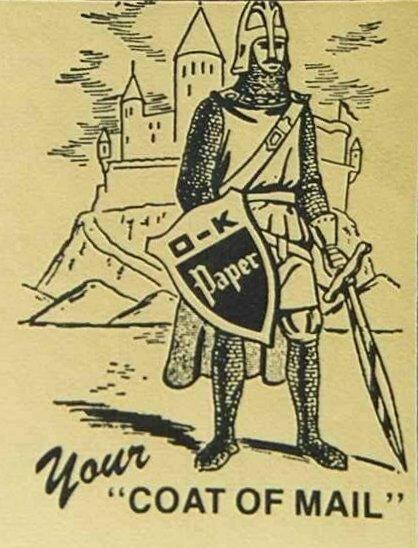 Heraldry in the ... Well? 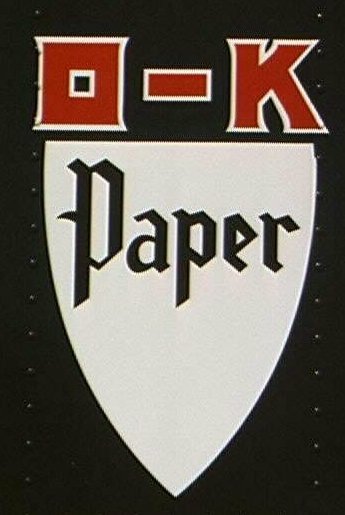 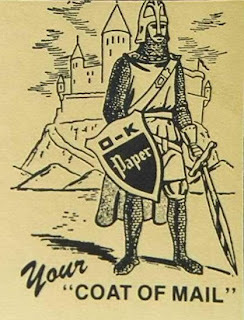 Today’s “blast from the past” heraldry from that collection of photos I was taking back in 1998 is the arms-like logo of the Olmsted-Kirk Paper Company, or O-K Paper for short. I ran across this logo plastered all over the sides and front of one of their trucks sitting by the side of some railroad tracks in an industrial section of north Dallas. 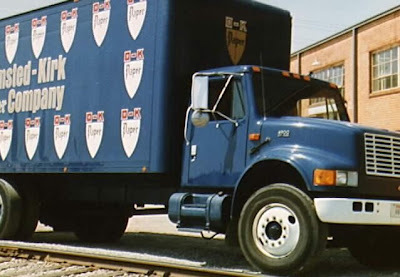 While the company has changed its logo a bit since 1998, you can see that they have not modified it a whole lot; here’s the one they are using today.